The free hot meal will be served from 11:30 a.m. to 2:30 p.m. Nov. 22 at 5545 W. Harrison. It’s hosted by Assumption Greek Orthodox Church and St. Martin De Porres Church. 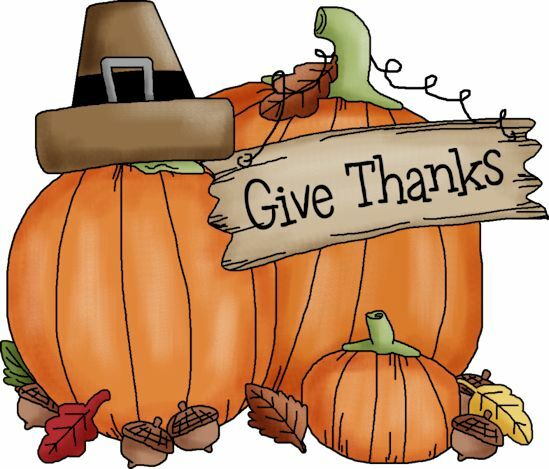 Dinner will be served from 5 to 9 p.m. Nov. 14 at George Leland School, 512 S. Lavergne. The event is free and open to the community. The luncheon, hosted by Cook County Commissioner Richard Boykin and Jasmine Jackson Oak Street Health, will be held from 12 to 2 p.m. Nov. 7 at 4623 W. Gladys. To attend Wednesday’s event, you must RSVP. Cook County Commissioner Richard Boykin and Lillian Drummond invite seniors to the free event from 12 to 3 p.m. Nov. 17 at the Senior Satellite Center, 5071 W. Congress Parkway. Make sure to RSVP to attend. Community groups and local churches will be holding events for those needing a meal or wanting to play football. All are welcome at the free event Nov. 9th at George Leland School, 512 S. Lavergne. Greater St. John Bible Church’s Thanksgiving dinner tradition preserves soul food heritage each year. Ald. 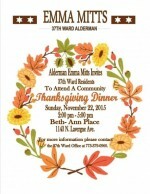 Emma Mitts invites 37th Ward residents to the event from 2 to 5 p.m. Nov. 22 at Beth-Ann Place. Our columnist John W. Fountain III gives thanks today for his father and the lessons he still teaches.